I found a great book that I think people in blogland will enjoy. 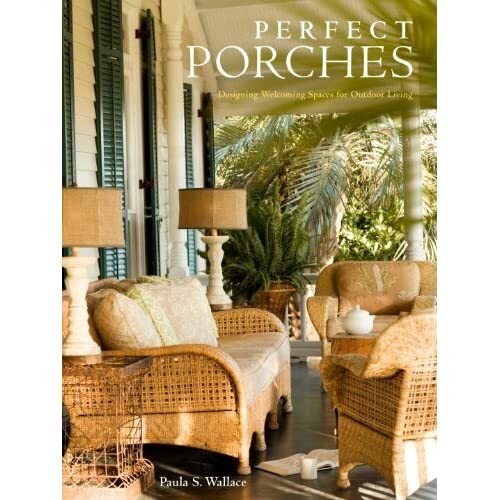 Its title is Perfect Porches by Paula S. Wallace. It is loaded with great text and beautiful photos of porches from all over the country. They range from fancy to simple and all in between. There are even a few porches from Kentucky homes featured. I highly recommend this book for your summer reading. Who knows? Maybe you’ll find some great decorating tips. We were not paid to mention this book. I love front porches— I think they are a room and the first statement you make about your home, I love my front porch–one of the smartest decorating ideas I have ever had. I will definately check this book out. I’m ordering this right now! I have a charming screened porch just waiting for some love! thanks for the recommendation.